Travel is something I do a lot of and there are moments of joy and moments of anguish. A huge part of traveling is eating, they seem to go hand in hand in my world. Sometimes eating leads to heartburn, and heartburn leads to anguish. The last thing I want is to suffer while I am traveling because I am out and about to fulfill wanderlust, not to sit around. Truly, the sun can shine bright but heartburn burns brighter in my chest. Heartburn can incapacitate me from being able to do the things I really love, like walking, and exploring. If you are like me, you are looking for a convenient form of treatment to tote along, so that heartburn does not ruin your travel time. While heartburn creates physical and emotional disturbances, allow me to show you how to handle heartburn when you travel. Let’s just say we are putting the snooze button on heartburn so you can lavishly live and travel out loud! After returning from a recent trip, I heard a colleague complaining of heartburn. In fact, he moaned that he was up all night long because he ate and drank far too much. Obviously, he is not the only indulgent on a vacation but it is awful to be up all night suffering, right? I have been down this road as well. We are out, we are enjoying food and drinks and then it hits me. That burn, that stomach illness, the throat discomfort, it is just ‘Yuck’ times 10! Emotionally you feel like everything is just out of sorts, and that you are paying a hefty price for enjoyment. Physically, you feel like death warmed over. Heartburn truly can prevent you from doing the things you like when you travel. Don’t let heartburn impede your vacation, your wanderlust, your life! Now, in the world of instant gratification, we all have to be realistic with our expectations of how quickly we will feel better after heartburn appears. First, when I travel I always take along heartburn relief. 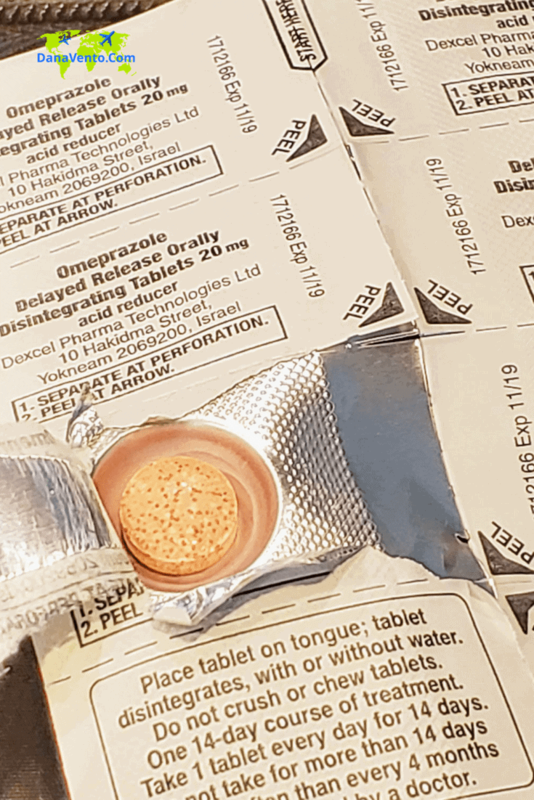 The relief I have brought with me to date is Omeprazole. To date, I have been happy with my resulting relief from Omeprazole and now I have stumbled upon something new and even easier to use! 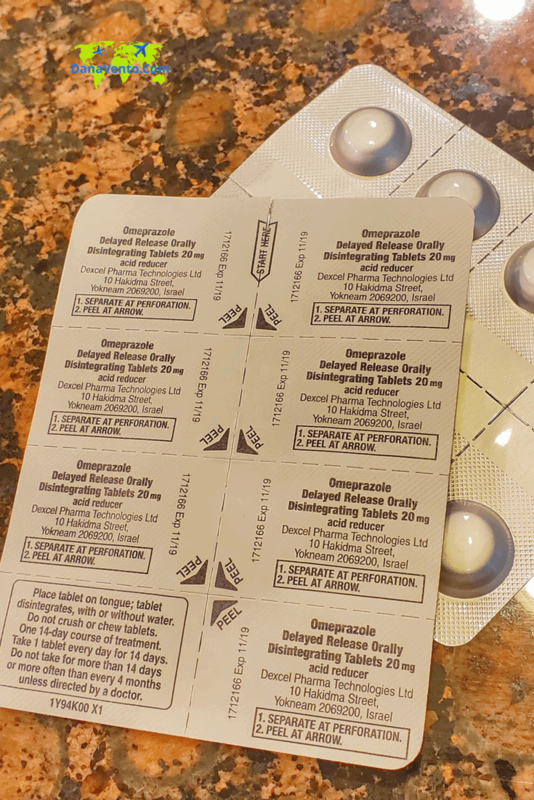 Omeprazole Orally Disintegrating Tablets are my new go-to solution for heartburn while traveling. OK, let’s be serious: they are my go-to even when I am not traveling. Those that get heartburn have had it before. I know that I will suffer if I am not prepared, so I travel with it in my travel bag before the epic heartburn storm! Last, they do not require water. Instead, they just dissolve on your tongue and they don’t taste funky. The flavor is strawberry, so you do not have to worry about a strange taste, and it just melts in your mouth. No one has to know that I am taking medicine. I just open it, put it in my mouth and I am on my way to relief by the next day. (Yep, pack this in your bag and find it at stores nationwide) This is perfect for all those getting ready to travel for the summer, right? Learn more about this incredible Tablet on the website! 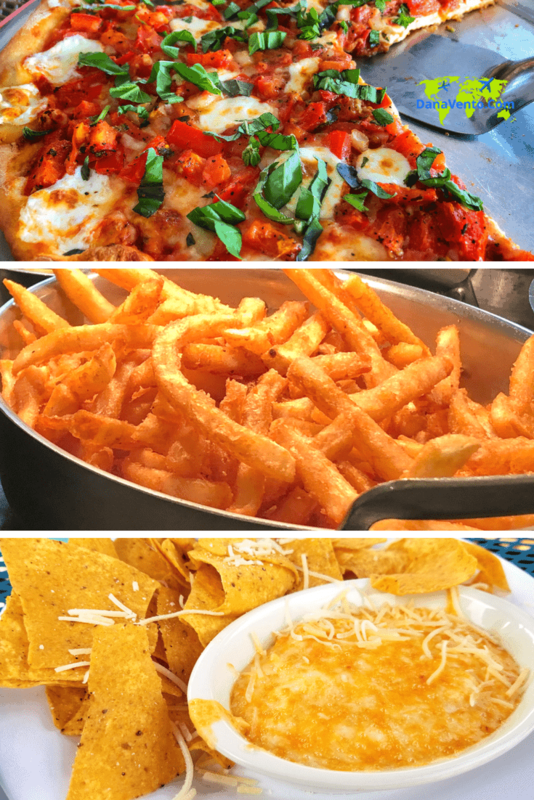 It cannot stop you from eating all the wrong foods that kick up the symptoms again. For those of you that are heartburn sufferers, this is an ideal choice for you. Let’s set your expectations on relief: by the next day or in a couple of days you will start to feel better. What you need to realize is that heartburn did not just happen from eating one meal,. This is a combination of factors that gets you to this point. So, it would be standard to rationalize that relief will happen in a few days, not immediately! The dosage is 1 tablet every 24 hours for 14 days, but do not take for more than 14 days or more frequently than every 4 months. Of course, you should consult with your doctor if you need to. I would have the Prilosec for me on trips to be able to deal with the heartburn. But also just being aware of what affects you is so very important as well. Yes David I agree. It seems that if we know ahead our triggers, we can keep things a bit quieter. I always travel with activated charcoal pills. Glad to read about this medicine that doesn’t require water. Strawberry taste? Yes please. Ever since my kids I’ve been more prone to heartburn. I’m glad it doesn’t have to hold me back though! it’s good that you have something to handle it while you travel. I imagine heartburn could really mess a trip up. Thanks for the suggestions. When traveling and especially trying a lot of new and different foods, it’s important to have something with you that will make you feel better since it’s not always easy in another country to find what you need. Good thinking on these tips. Trying new foods when you travel is essential. Heartburns don’t have to be. hahaha forget when i travel i need it right now! heartburn is the worst when you wake up to it in the middle of the night. thanks for the tips and tricks shared. middle of the night is awful. Feel better. These were some very useful tips. I will definitely keep this in mind when on the road next time. Thanks for sharing! Thank you for this information, it sure would be great to have a medicine ready in case heartburn attacks and you are on a travel. Just not so sure if this is available in our country. Hubby and I love to eat. When we travel, we have antacids as well as enzymes in capsules in our first aid kid. Nowadays, I also bring my ginger tea, which I drink hot with my meal. Really helps us enjoy all the sumptuous food. I have taken the non-dissolving omeprazole before but there dissolving ones sound cool. Heartburn is miserable no matter when you have it or what you take LOL. Thanks for the information! Very useful blog post, I have only suffered from heart burn a number of times but I couldn’t imagine having it all of the time whilst travelling, what a pain! Great post, I am one of those who is prone to this, not just when I travel. I have a propensity for gastric problems, not necessarily related to what I eat. I’m definitely going to look into Omeprazole ODT, thank you. This was a really good and informative post. I suffer badly from heartburn so it was just what I needed to read. I hope this helps your heartburn. Travel is to be fun, not burning. I haven’t ever had heartburn issues, but when I travel every year with a group to work in Central America I am the team medic. I should pack some heartburn medication for the next trip, great post. Thank you. Yes, because no water necessary, it is super easy to administer. Your trip sounds incredible. It’s always important to be prepared when you travel. Thanks for sharing your tips! If you forget anything along the way, Convenience Stores are pretty fantastic for a quick stock up along the way! Thank you for sharing this. I occasionally get heartburn and it is really unfortunate to have one during trips because at times I ended up staying at the hotel than going out. Appreciate all these helpful tips. Don’t stay in anymore, this is your new Go-To. If you do not have it with you, check out the local Convenience Store they might have it. I suffer from heartburn problem the most when I am traveling as outside food leads to all this. These are really great ways to handle heartburn troubles. Really great and detailed advise on how to handle heart burn. Great photos too makes me hungry just looking at them. I agree with you travelling is all about getting out of resort and enjoy fully, keeping med with you for any health issue is safe side while travelling to avoid any hindrances to entertainment. It is always handy to have things like this on you when you travel as it can be really difficult finding things when you are on holiday. Heartburn can be a real pain. I do suggest checking the local Convenience Stores before running everywhere. Often they have just what you need, this for heartburn in fact. In addition to a soothing beverage. Of course there is no guarantee but there are so many convenience stores, I always go there first when in need. Heartburn can give one stress and extreme discomfort – two things you don’t want to experience while traveling. These are very helpful tips to fight heartburn. That is one of the downfalls of travel – heartburn from tasting the local cuisine! I always make sure to have my heartburn medication handy no matter where I’m traveling. Ever since I gave up fried food and eat clean adding the olive oil at the end I stopped hurting. It’s difficult when I travel though. As far as I know large meals and fatty foods and late-night meals are the top three triggers that affect many people with heartburn. So it’s just a sign of your body to eat healthy and start to control yourself. this could not be more truer! my husband gets awful heartburn and its great to always carry something like this at all times when he needs it. like you said, no one likes to be in bed all day if they can help it! Yeah who wants to be suffering in bed on a vacation for food you ate. not me! Enjoy all your travels and be prepared ahead!